Asda Little Angels: Tips for protecting our little ones. 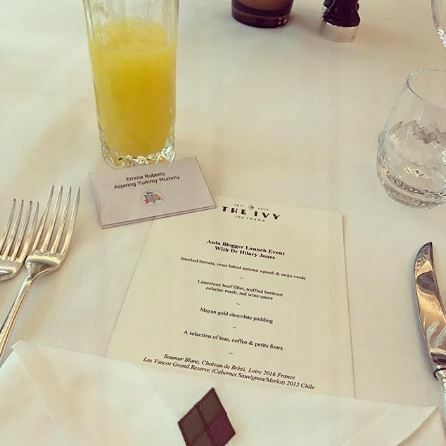 A few weeks ago I was very lucky to be invited to a super-glam lunch at The Ivy with Asda Little Angels and Dr Hilary Jones. Yup at The Ivy! So I took my waddling-self off on the train and down to London Town for a child-free afternoon filled with amazing food (I’m not exaggerating – it really was amazing), free-flowing drinks (Diet Coke for me but anybody that knows me knows that a DC is the way to my heart) and lovely company with lots of lovely parenting bloggers, Dr Hilary and Vanessa and Kayley from Myriad PR. A trip to The Ivy. So Fancy. Having a baby is the most amazing thing but can be pretty scary at times. I remember when I had to do bath time with Harley alone for the first time, I was petrified, and don’t even get me started on weaning – cue numerous sleepless nights! When you’re pregnant you’re so focused on giving birth that you don’t really look ahead to the practicalities of looking after a baby, e.g. the nappy changes, dealing with nappy rash and when they’re a bit older, weaning, so I definitely recommend taking a look at the videos if you’re after tips or experiencing the same types of irrational worries as I did. All of Asda’s nappy ranges are dermatologically tested (seriously there’s so much technology involved it blows my mind – I found out lots when I spent an afternoon at The Dorchester with Asda Little Angels, read more here) and have been given a certification by the Skin Health Alliance. I’d definitely recommend giving the nappies a go if you haven’t already – earlier in the year I swapped to the pull-up pants for Harley, which he loves because they’ve got Peppa and George on them, and will definitely be trying out the Newborn range when this little one arrives (current status: still pregnant, bouncing on the exercise ball and consuming lots of raspberry leaf capsules). For more information about Asda Little Angels click here. 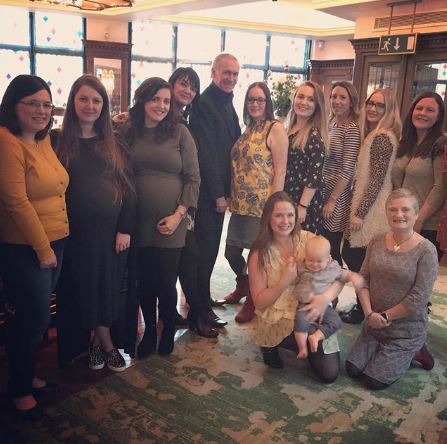 Disclaimer: I was invited to lunch by Myriad PR and Asda Little Angels. I received no payment for this post. A Christmas Day Due Date. Previous Post Pregnancy Update: 34 – 36 Weeks. Next Post The Wicked Uncle Gift Guide.